Artist Info: Jay Som - a.k.a. Bay Area-based singer, songwriter and multi-instrumentalist Melina Duterte - announces that she has signed to Polyvinyl. 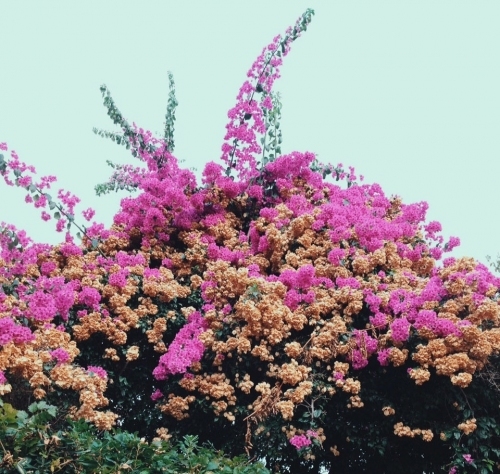 With her debut album on the horizon for 2017, Jay Som will reissue Turn Into, a collection of finished and unfinished songs written, recorded, and mixed between March 2014-October 2015. The collection is available digitally today for purchase, and can be streamed via The FADER. Turn Into will also be available on vinyl, cassette and CD on November 18th, just in time to celebrate the one-year anniversary of when Duterte uploaded Turn Into on Bandcamp after having a few too many glasses of wine during Thanksgiving dinner. Jay Som - a moniker Duterte randomly found via an online baby name generator meaning, “Victory Moon” - performed every instrument on Turn Into (guitar, bass, keys, and drums) and self-recorded/mixed the entire collection in her San Francisco home. The result is grade-A, DIY bedroom pop that embraces indie, alternative, and shoegaze with an unpredictable sonic sensibility, threaded together by melody but never bound to it. Turn Into’s first single “Ghost” simultaneously haunts and hypnotizes as Duterte’s voice hums a shimmering harmony punctuated by fits of fuzzed-out six-string emotion, acoustic unease, and poignant personal lyricism. Elsewhere, “Why I Say No” rides the crest of a surf guitar swell, while a whimsical and wild guitar lead jostles “Next To Me.” The distorted trudge of “Drown” beckons, while the title track offers a sun-soaked send-off.